This leather cleaner was tested by our staff at English Riding Supply and unanimously declared "the best leather cleaner we've ever used! 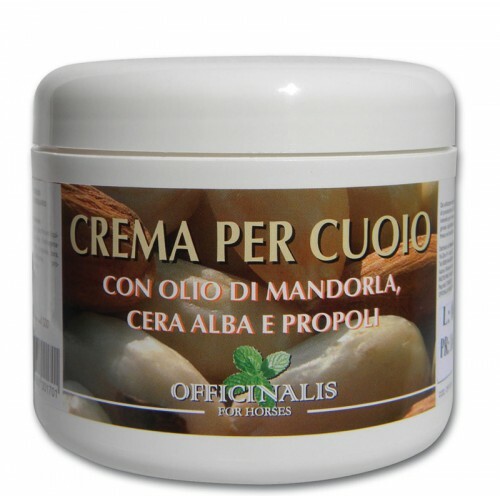 This formula is based on the fragrant oil of almonds, and is rich in natural vegetable fats to nourish and clean leather. The Cream makes the cleaning of saddles and bridlework a pleasure instead of a chore. Just apply the Cream with a damp sponge- in one step you're cleaning and protecting you fine leather from cracking, and regular use keeps everything soft and polished.